Dormer loft conversions are the most commonly fitted loft conversions. One reason for their popularity is that the conversion is simply an extension to the existing roof. They also create much more additional floor and head space within the newly converted room, generally becoming the largest room within your home. 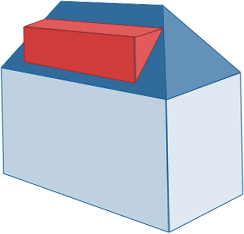 Another benefit a dormer provides is that internally the room will have vertically straight walls accompanied by a horizontal ceiling, unlike the slanted walls usually associated with loft conversions. Dormer loft conversions are versatile in that they can be built on various styles of homes, such as on terraced houses, end of terrace, semi-detached and detached houses. Additionally, dormer loft conversions allow for a much more seamless staircase fitting, allowing the new stairwell to be fitted directly above the existing one. Most dormer loft conversions also do not require planning permission which is another great factor of this design. A Hip to Gable loft conversion usually occurs with semi-detached, detached or end-of-terrace housing. Additionally, this style loft conversion is usually built when a house has three separate slanting sides of its roof. The side of roof is then extended out and made vertical. This can also be beneficial when a house lacks the required space within the loft to build any other style loft conversion. A hip to gable conversion will also allow for a more seamless staircase fitting within your home due to the newly created space within your home. All changes made to the property externally will be fitted and matched with all pre-existing aspects of the house, allowing for an overall aesthetically pleasing look inside and out. Height: Your loft should be at least 2.2m to 2.4m in height. However, bear in mind that when the flooring and ceiling has been added the height will be reduced by around 0.2m to 0.3m. There are ways that height can be increased. The height you'll need also depends on the structure of your roof. 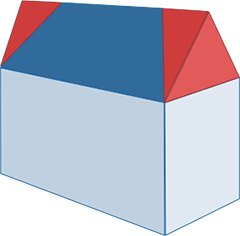 Roof structure: Older houses generally have roofs made up of rafters and purlins, which are usually relatively easy to convert. Newer houses (built since around the 1960s) have trussed roofs and require a little more work to convert. They also require a bit more height - at least 2.4m. Space: Make sure that you have enough space in your loft to create a usable room. Obstructions: You'll need to think about relocating your water tank if you have one in your loft or, if you have a chimney, whether to keep or remove it. In most cases, a loft conversion would be covered under Permitted Development Rights, meaning that you wouldn't need to obtain planning permission. Your loft conversion will always need to meet the Building Regulations, regardless of whether or not you require planning permission. At Kingfisher Lofts, Building Regulations are always adhered to so you can rest assured that all aspects of your new loft conversion will be fully compliant.